Replica Sets in MongoDB are very useful. They provide multiple copies of data, automated failover and read scalability. A Replica Set can consist of up to 12 nodes, with only one primary node (or master node) able to accept writes. In case of primary node failure, a new primary is auto-elected. It is advisable to have an odd number of nodes in a Replica Set, so as to avoid vote locking when a new primary node is being elected. Replica Sets require a majority of the remaining nodes present to elect a primary. If you have e.g. 2 nodes in a Replica Set, then one option is to add an arbiter. An arbiter is a mongod instance that is part of a Replica Set, but does not hold any data. Because of the minimal resource requirements, it can be colocated with an application server or the ClusterControl server. The arbiter should not be colocated with any of the members of the Replica Set. In this post, we will show you how to install and configure a Replica Set, and then manage it using ClusterControl. 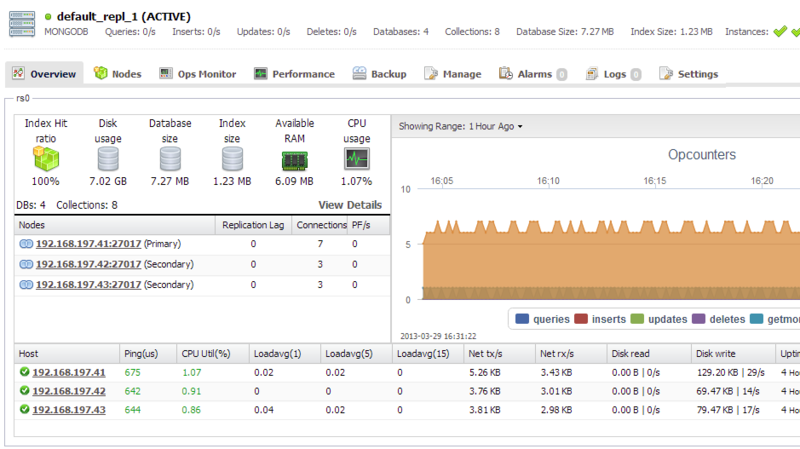 It is similar to a previous post on how to manage and monitor a Sharded Cluster. Our hosts are running Debian Squeeze 64bit. Note that you can also deploy a Replica Set using our MongoDB Configurator (not longr available), this will automate the whole process. **Following steps should be performed on mongo1, mongo2 and mongo3. 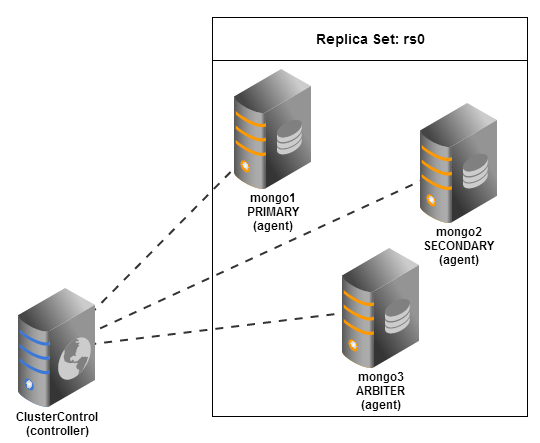 Here is the recommended way to get ClusterControl on top of your existing MongoDB replica set. We have built a collection of scripts available under Severalnines download page which will automate the bootstrapping process. You may refer to this knowledge base article for further details. **Following steps should be performed on ClusterControl host. # id and name of cluster that this cmon agent is monitoring. ##logfile is default to syslog. 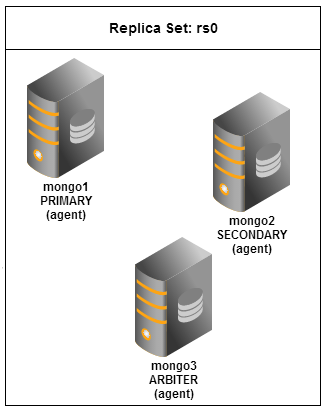 ** Following steps should be performed on mongo1, mongo2 and mongo3. ## id and name of cluster that this cmon agent is monitoring. Repeat above steps for mongo2 and mongo3. Make sure to change the value of “hostname” to the IP address of respective nodes. ** Following steps should be performed on mongo1, mongo2 and mongo3 followed by ClusterControl. $ update-rc.d cmon start 99 2 3 4 5 . stop 99 0 1 6 . ** Following steps should be performed on ClusterControl host. To finalize the UI installation, open web browser and go to this URL, http://ClusterControl_IP_address/install and you should see “Install ClusterControl UI and API” page. 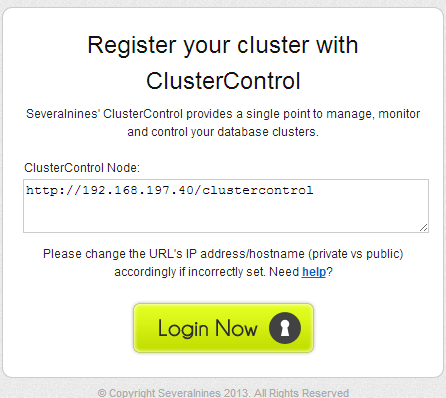 **Please note the ClusterControl API Access Token, ClusterControl API URL, your login email and login password. We will use these later on the cluster registration page. 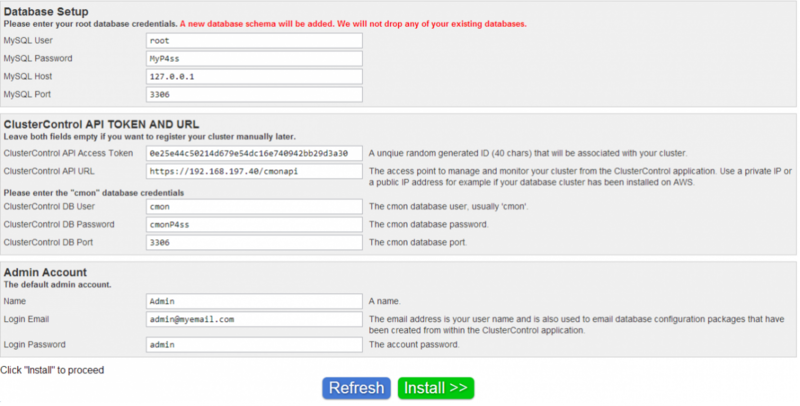 After the installation, click “Click here to automatically register your cluster now!” and you will redirected to cmonapi page similar to screenshot below. Click “Login Now”. You’re done! You are now able to manage your MongoDB Replica Set using ClusterControl.